Your order should arrive within 3 to 7 business days after placing your order. We ship via USPS from Los Angeles, CA. Please email us at Lulabaepjs@gmail.com if you need any assistance. 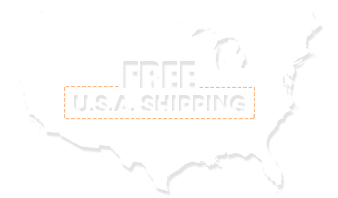 Shipping is FREE on orders in the continental United States. Your order should arrive within approximately 7 to 15 business days placing your order. Please email us at Lulabaepjs@gmail.com if you need any assistance. We want each and every customer to love our pajamas and if you are not satisfied for any reason, we will happily accept returns of merchandise up to 30 days from the date of purchase for a full refund of the product price not including shipping. Pajamas must be unwashed with the tags still attached. Simply put your return securely in the original package if possible. Take the package to your nearest shipping center and obtain a shipment tracking number. Email us at Lulabaepjs@gmail.com with your shipment tracking number and please note the reason for return. Lulabae.com currently accepts VISA, MASTER CARD, AMERICAN EXPRESS, DISCOVER CARD credit cards and PAYPAL. You can safely enter your credit card number via our secure server, which encrypts all submitted information via SSL. Unfortunately, we DO NOT accept personal checks. Upon approval AND verification of credit card information Orders will be processed for shipment. Inconsistent data and billing information may delay your order. Once your order has been authorized and confirmed, your order will be shipped within 24-48 hours business hours.